In the couple weeks since Meek Mill accused Drake of employing a ghostwriter, Quentin Miller, to write the Toronto superstar&apos;s rap verses, Miller and OVO producer Noah "40" Shebib have publicly insisted that Miller is a co-writer, not a ghostwriter, since Miller is officially credited for his songwriting contributions in the liner notes of Drake&apos;s If You&apos;re Reading This It&apos;s Too Late. In a Tumblr post dated July 24, Miller claimed, "I am not and never will be a &apos;ghostwriter&apos; for drake." Much of the news coverage that&apos;s advanced this narrative cites Genius and Wikipedia as corroboration of Miller and 40&apos;s claims. 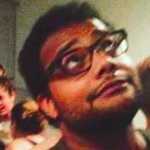 Both Genius and Wikipedia are user-edited platforms, however, and are not official, definitive sources of information. 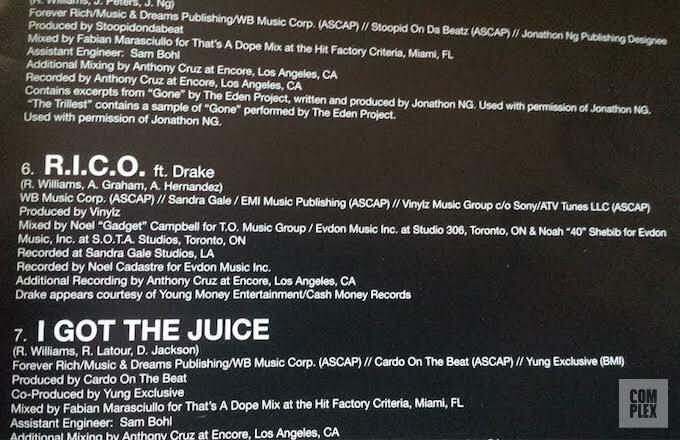 The inattention to actual liner notes of Meek Mill&apos;s Dreams Worth More Than Money, published by Atlantic Records, has sowed popular confusion regarding Quentin Miller&apos;s involvement in Drake&apos;s songwriting. In the interest of clarification, below is a screenshot of the official liner notes that are included in the physical CD release of Meek Mill&apos;s Dreams Worth More Than Money. Despite having laid a reference track for Drake&apos;s verse on Meek&apos;s "R.I.C.O. "—over the very same beat, no less—Quentin Miller is not credited for a co-writing contribution to the song. This evidence suggests that the description of Quentin Miller as a "ghostwriter" is, indeed, accurate, despite OVO&apos;s claims to the contrary. It also seems to corroborate Meek&apos;s claim that he was misled regarding the authorship of Drake&apos;s verse on "R.I.C.O." It&apos;s now unclear whether Quentin Miller has written other Drake verses for which he is uncredited. We&apos;ve yet to learn why, after years of friendship and collaboration, Meek Mill suddenly decided to expose Drake&apos;s use of ghostwriters. Even in a field as competitive as hip-hop, and even with a deformed love triangle at the heart of the matter, it&apos;s tough to believe that this specific, incendiary claim is one that Meek would&apos;ve just tossed out in the heat of the moment. Drake has so far managed to suffocate Meek Mill&apos;s ghostwriting claims with a series of diss records, Instagram captions, interview quotes, and OVO festival promotion. Still, Drake hasn&apos;t really answered Meek&apos;s initial complaint on its own merits. He appears to be ducking the fade. Additional reporting from Brandon Jenkins and Insanul Ahmed.